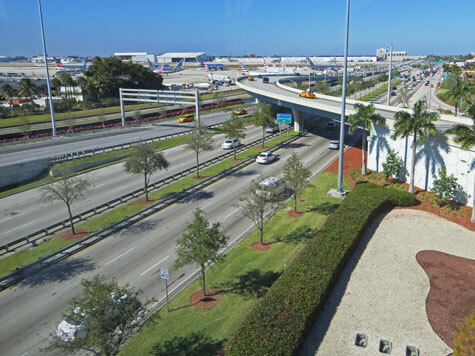 The Miami International Airport (MIA) is located eight miles (13 km) northwest of Miami's central business district. The airport is the main gateway into the United States from Latin America. There is an integrated public transit station located right at the airport.